Super productive people strive to make the most out of every single minute. However, concentrating all day is not always possible. Numerous tips on how to stay productive aren’t always helpful. Still there are ways to trick the brain with special techniques that help in training concentration. Pomodoro is one of them. We’ve already told you about its technique here. 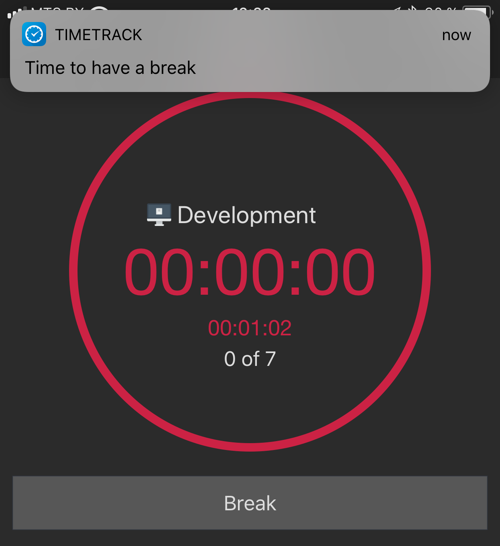 Now it’s time to learn how to use it on TimeTrack app. 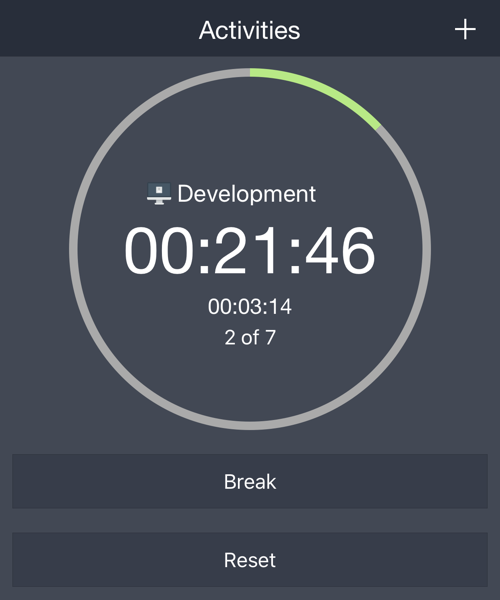 After 4 Pomodoro cycles (set by default) start a long break (20 minutes by default). Configure the number of breaks and their duration according to your preferences in Settings. 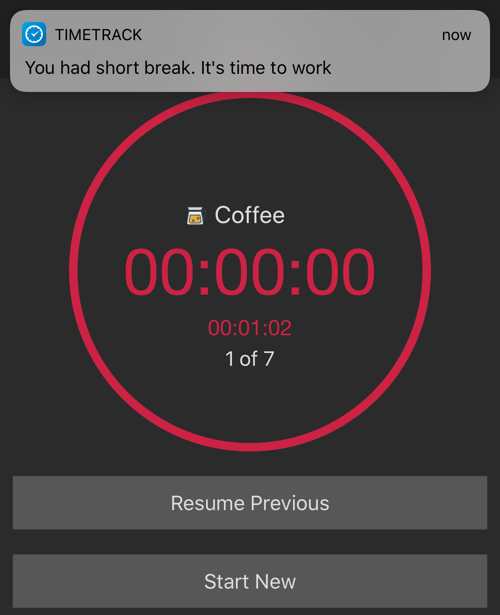 The Reset Button stops the current Pomodoro and starts a new timer from scratch. Use it if you were suddenly interrupted (e.g. by a colleague or phone call). Note that quitting Pomodoro mode doesn’t stop current Pomodoro or Break activity. Stop it by yourself if needed. 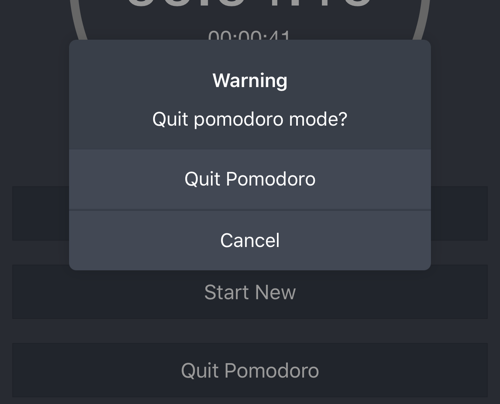 Adjust any of the Pomodoro parameters to your preference in Settings: enable/disable Pomodoro, short and long break duration, number of cycles before a long break, select preferable notification and tick sounds. Daily chart stats display a green number for the completed Pomodoros and a grey number for uncompleted Pomodoros. The plain green line is your daily Pomodoros goal. 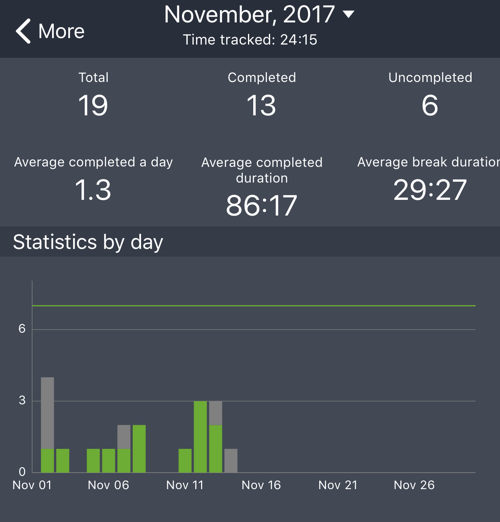 Green bars reaching the line indicate how close you are toward reaching your daily Pomodoro goals. The secret to retaining the highest level of productivity over the span of a work day is not working longer, but working smarter with frequent breaks. 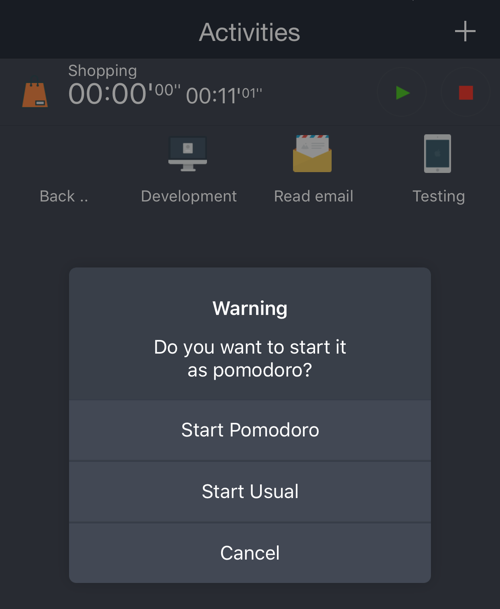 Use Pomodoro in TimeTrack app and stay efficient!